My updates might be sporadic for a little while so here are the things which arrived in the last week or so - it's been difficult to keep up with blogging during this busy period at work! 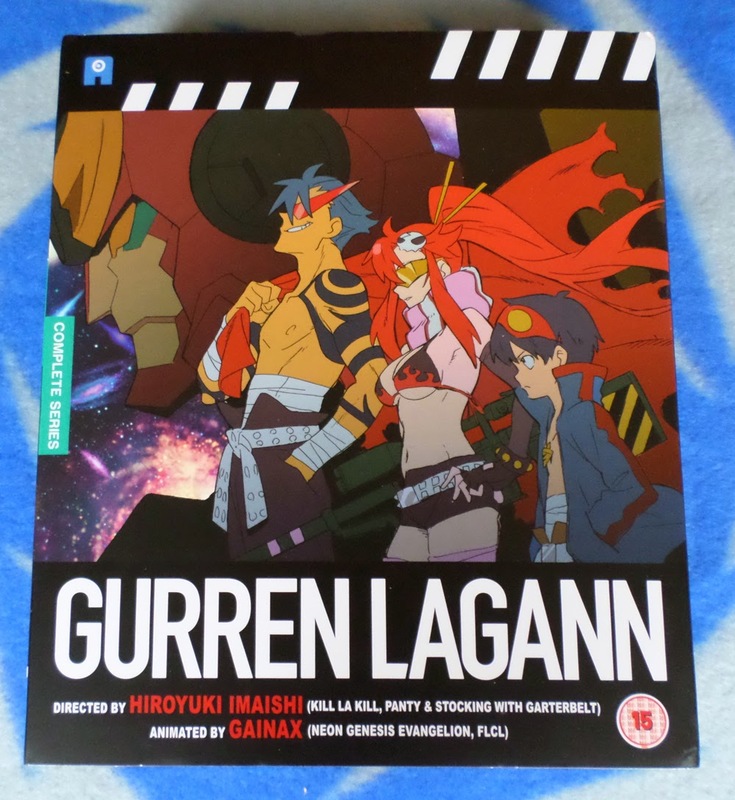 First up, it's Anime Limited's Gurren Lagann: Ultimate Edition Blu-ray box set. This is the first time I have bought a local BD release that was region locked, so I had to pick up a cheap BD drive at the same time to be able to play it. This is how it looks when it's all packed up in its outer sleeve (an o-card). It's nice that Anime Limited have started doing this so that they can conform to the legal requirement to show the BBFC age rating and marketing information without ruining the packaging inside, much like the obi slips commonly used for Japanese releases. The next picture shows how it looks without the sleeve. 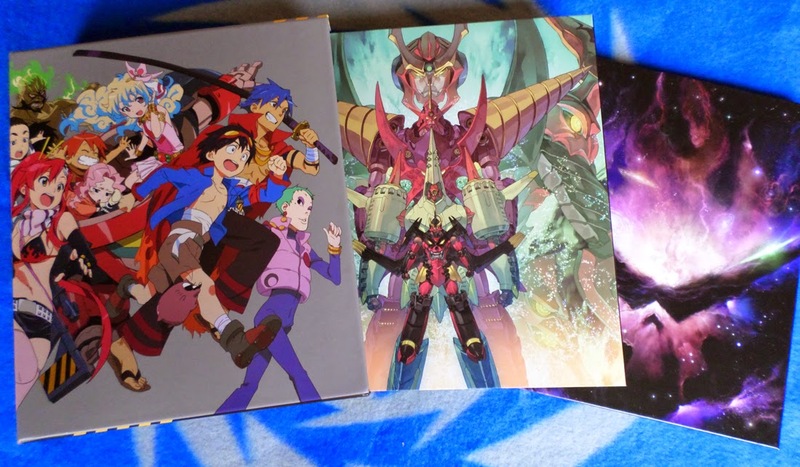 There's a chipboard art box with a wraparound illustration (left), the Digipak with the actual Blu-ray discs (centre) and a hardback art book (right). Not bad! There are three video glitches in the set from the masters Anime Limited were sent (thanks, Aniplex), but given how much cheaper this is than buying the Japanese set it suits me fine. I paid £80, which isn't a bad price for the entire series, the movies and the Parallel Works extras. 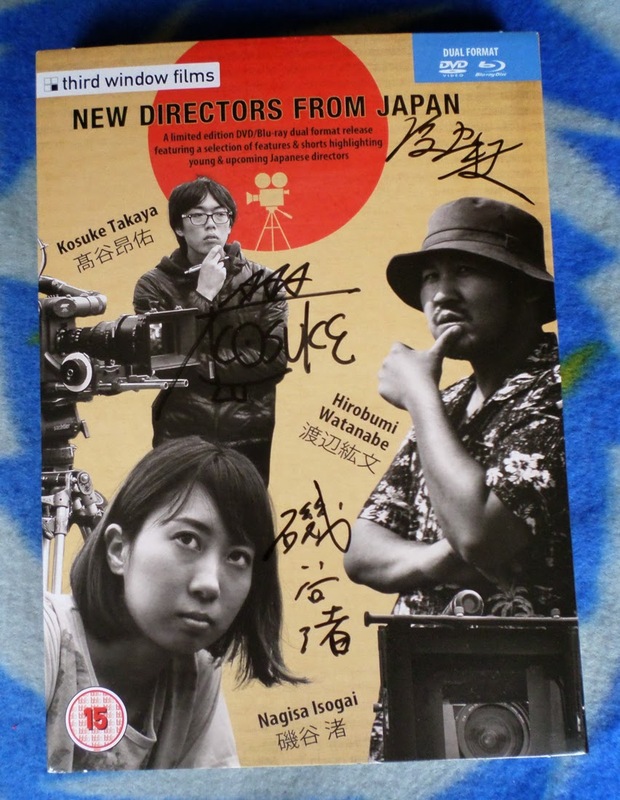 Next is the New Directors From Japan Blu-ray/DVD set. It was a Kickstarter project which managed to meet its goal and deliver the finished discs without any drama at all, making it the most no-nonsense Kickstarter effort I have ever contributed to. I hope that Third Window Films will consider launching more niche projects this way; it's a fantastic opportunity to get region-free Blu-ray produced for films which would otherwise never see release in the west. I'm looking forward to watching them shortly. 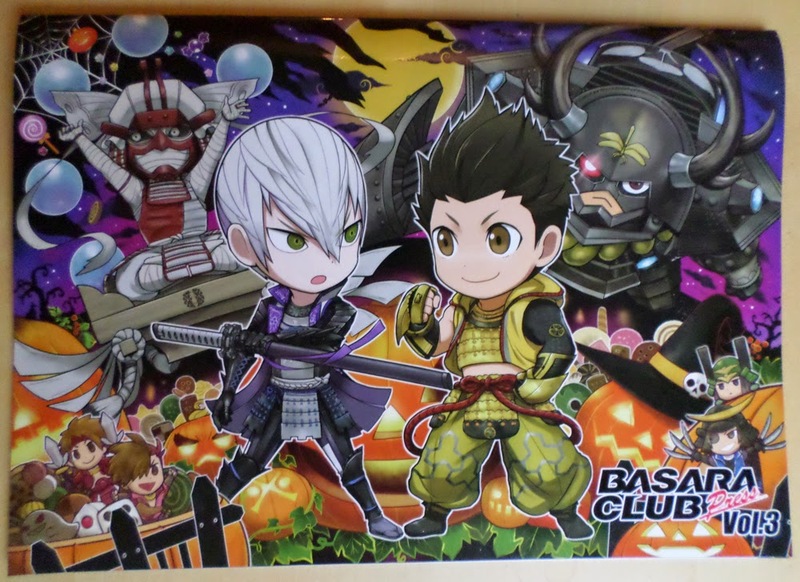 The third BASARA CLUB Press newsletter arrived too, with a Halloween-themed cover drawn by Mikami. 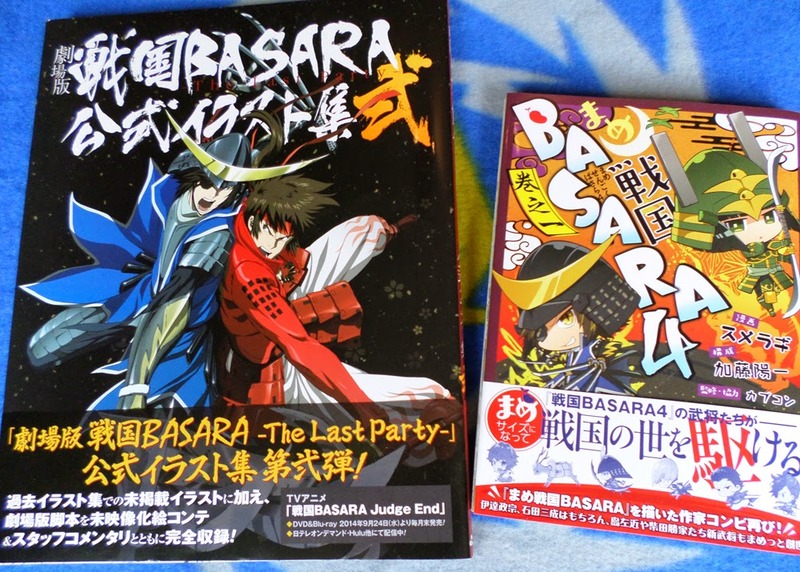 Last but not least, Gekijouban Sengoku Basara -The Last Party- Official Illustration Collection II and the first volume of the Mame Sengoku Basara 4 manga by Sumeragi. I'll talk about Mame Sengoku Basara 4 later in a proper review (spoilers: it's really cute!) but since I will probably never have time to post about each individual art book at my current pace, here's an overview of what to expect if you purchase Gekijouban Sengoku Basara -The Last Party- Official Illustration Collection II. 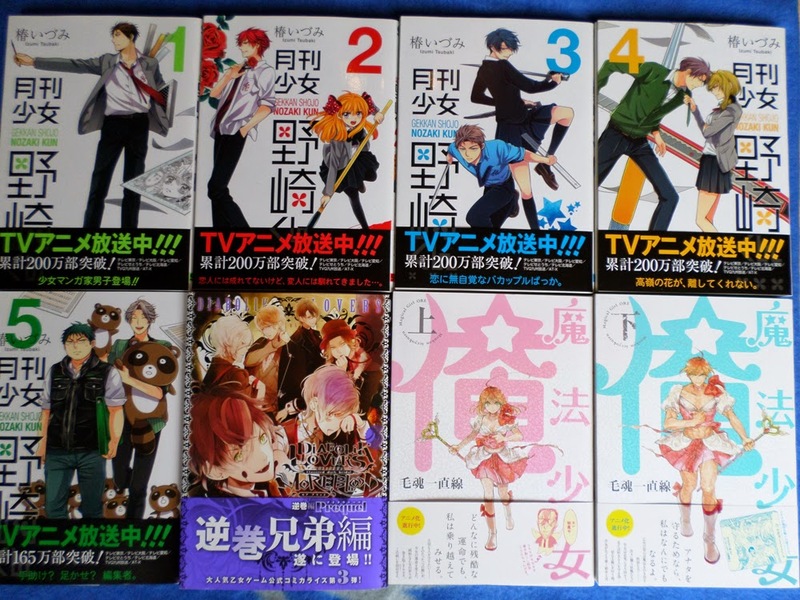 As the title implies, this book collects all of the leftover materials and illustrations which Production I.G. produced since the previous Sengoku Basara -The Last Party- art collection. There are some pictures which relate to the television series too, and others which have nothing to do with either the movie or television versions, such as the illustrations Ookubo Tooru produced to promote various regional festivals in the Touhoku area. The first 47 pages are full colour illustrations from posters, merchandise, guide books and other sources, and if you love the anime art style these alone make the book worthwhile. A few design sketches from Mini Sengoku Basara break up the serious poses nicely. The next feature is a long 'commentary' on Sengoku Basara -The Last Party- from director Nomura Kazuya, screenplay creator Mutou Yasuyuki and character designer Ookubu Tooru, which is a group interview where they go through all of the movie's key scenes and add their comments. This feature includes storyboards and script excerpts for a few scenes which never made it into the finished film. These were the climax of the fight between Kenshin and Shingen at Kawanakajima, the Maeda family sharing a meal with Keiji, Ieyasu and Motochika, and some expanded character development for Yukimura after he's forced to deal with his new responsibilities. All three would have been nice additions in the finished movie, especially the exposition at Kawanakajima. It's a shame that the storyboards were never animated in the end. The final pages of the art book are dedicated to a more general interview with the three staff members. Given how text-heavy it is, this book is probably for serious The Last Party fans or Japanese-speakers only, but if you want a decent collection of the rarer illustrations used for the anime box sets and you're crazy about Ookubo's art it's a good buy.